Janet Winston had a rash that wouldn’t go away. Her Stanford-affiliated doctor had warned her that the extensive allergy skin-patch testing she needed might be expensive, Winston said, but she wasn’t too worried. After all, Stanford was an in-network provider for her insurer — and her insurance, one of her benefits as an employee of the state of California, always had been reliable. Total bill: $48,329, including $848 for the time Winston spent with her doctor. Winston’s health insurer, Anthem Blue Cross, paid Stanford a negotiated rate of $11,376.47. Stanford billed Winston $3,103.73 as her 20 percent share of the negotiated rate. 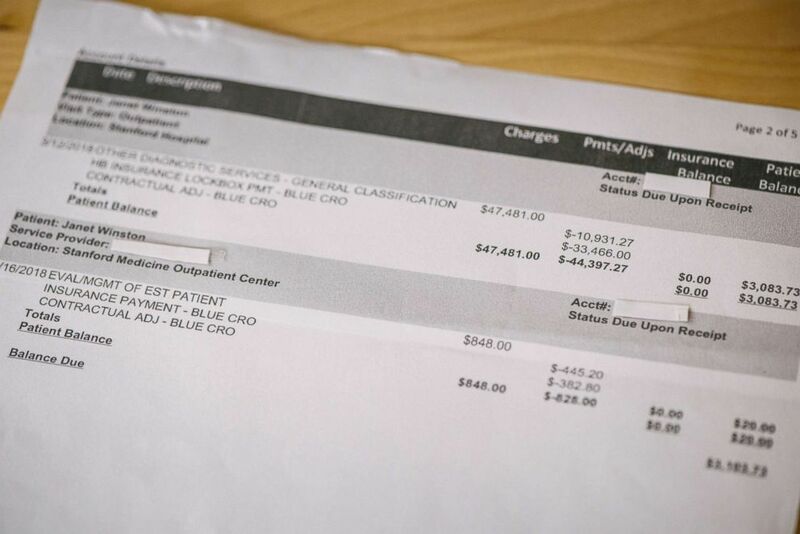 Janet Winston's original bill from Stanford Health Care. The bill detailed costs of $48,329.00 for allergy skin-patch testing. Service provider: Dr. Golara Honari of Stanford Health Care’s outpatient dermatology clinic in Redwood City, Calif.
Medical procedures: Extensive allergy skin-patch testing to determine what substances caused Winston’s contact dermatitis, or skin rashes. What gives: Medical billing analysts told Kaiser Health News that Stanford’s charges for Winston’s allergy patch test appeared excessive. They were surprised to hear that Winston’s insurer, Anthem Blue Cross, paid Stanford more than $11,000 for the treatment. Stanford’s list price, however, is a whopping $399 per allergen. “That charge is astronomical and nuts,” said Margaret Skurka, a retired professor of health informatics at Indiana University and a medical coding and billing consultant who advises hospitals and providers. She reviewed Winston’s bill. An Anthem spokesman noted that one of the insurer’s examiners did review the bill but could not say whether it received extra scrutiny because of its high cost. “We try to strike a balance between protecting affordability and providing a broad network of providers to create choices,” Eric Lail said in an emailed statement. Winston’s case highlights how some health providers set exorbitant rates, knowing they’ll ultimately be paid a lesser amount. Patients rarely pay these rates — known as “chargemaster” or list prices — and they can generate headlines for the $100 aspirin. But such list prices, as the starting point for negotiations and discounts, do help determine the amounts insurers pay, and ultimately what patients pay as their share of cost. 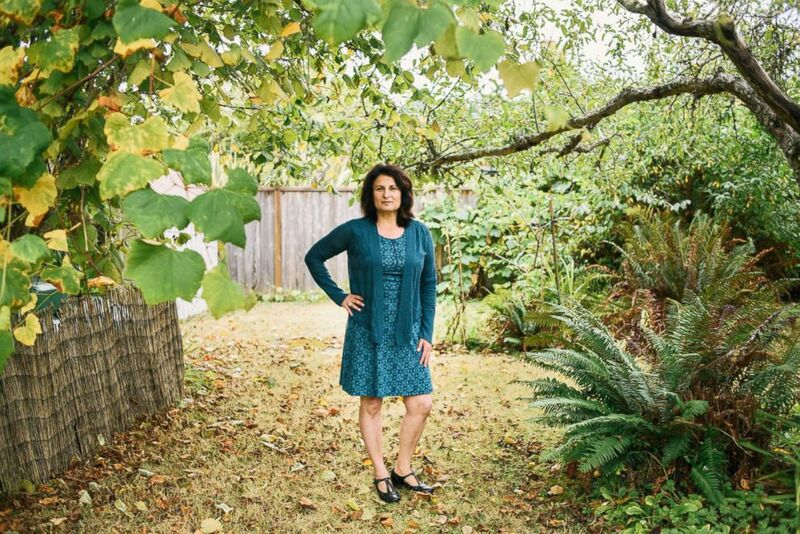 A portrait of Janet Winston, a professor at Humboldt State University, at her home in Eureka, Calif. Winston's bill from Stanford Health Care for allergy skin-patch testing was over $48,000. Stanford Health Care also has a lot of power in dealing with insurers like Anthem Blue Cross. The academic medical system includes hospitals and outpatient clinics across the San Francisco Bay Area as well as a number of large doctor practices in the region. That kind of consolidation and market power can raise health care prices. Insurers in the region have long grappled with Stanford’s high costs, at times withdrawing the health system from their networks. But the breadth and depth of the academic medical system — not to mention its popularity with high-end customers in the Bay Area — makes it difficult for insurers to exclude a powerhouse like Stanford from a network for long. Patrick Bartosch, a spokesman for Stanford Health Care, said that Winston’s doctor customized her treatment rather than using off-the-shelf patch tests. The university health system operates a large allergen bank of its own, he said. “In this case, we conducted a comprehensive evaluation of the patient and her environmental exposures and meticulously selected appropriate allergens, which required obtaining and preparing putative allergens on an individual basis,” Bartosch said in an emailed statement. Leemore Dafny, a Harvard University health care economist, said big health systems like Stanford’s — which owns multiple hospitals and outpatient clinics — can pressure insurers to pay big. “Everyone wants to point fingers at the providers, but … a lot of times [insurers] roll over and pay the rates,” she said. In other words, Stanford charged Winston’s insurer $48,000 because it could. Resolution: After some bargaining with Stanford’s billing department, Winston ultimately paid $1,561.86 out-of-pocket. She made the argument that her doctor had told her the cost per allergen would be about $100, not nearly the $400 Stanford ultimately charged her insurer. The takeaway: Insurers often tell patients to “shop around” for the best price and to make sure they choose in-network providers to avoid surprises. Winston did everything right and still got caught out. As a state employee, she had great insurance and Stanford was an in-network provider. Winston said her doctor warned her the test would be expensive, but she never anticipated that could mean close to $50,000. So don’t be afraid to ask for specific numbers: “Expensive” and “cheap” can have hugely different meanings in the high-priced U.S. health system. Clearly uncomfortable with the charges, Winston’s physician advised her — in advance — to contest it with Stanford’s billing department. So she did, and Stanford gave her a nearly 50 percent discount for her coinsurance share of the bill. It never hurts to ask. Janet Winston, a professor at Humboldt State University, reads over her medical bill at home in Eureka, Calif. The allergy skin-patch testing Winston underwent revealed she is allergic to numerous metals and other substances, including linalool, a naturally occurring terpene alcohol in many flowers and spice plants. Winston still can handle roses from her garden, which contain linalool, but she cannot wear perfumes and cosmetic products that contain the compound. Still, Stanford received more than $12,000 total from Winston and her insurer for allergy patch tests — a cost that is borne by insurance policyholders and taxpayers. Researchers have linked consolidation by Northern California providers such as Stanford and Sutter Health to higher health costs for the region’s consumers. A local health workers union also has taken aim at Stanford’s costs with two city ballot initiatives that attempt to rein in what Stanford and other health providers can charge patients in Palo Alto and Livermore. 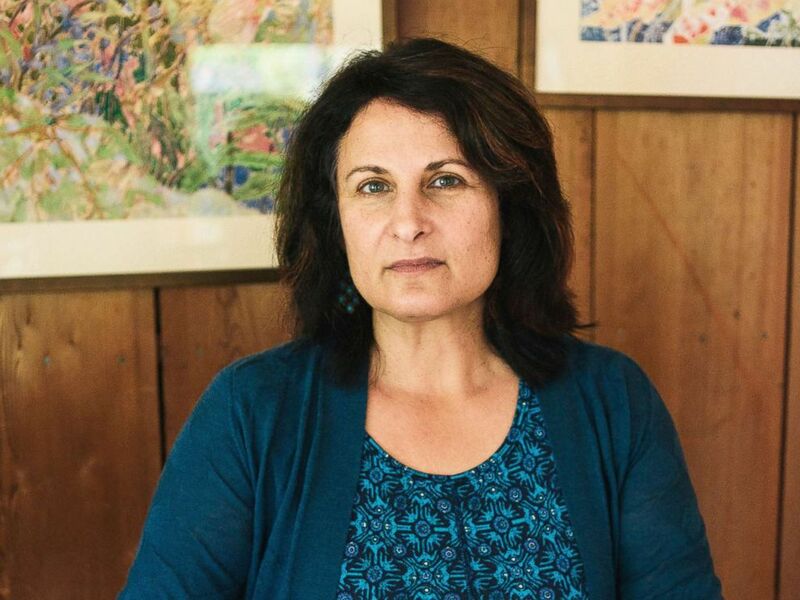 NPR produced and edited the interview with Elisabeth Rosenthal for broadcast. April Dembosky, from member station KQED, provided audio reporting.